A chilly morning at Colac’s Central Reserve for our first dose of football for the day. When is it ever not chilly at 9am on a Winter Sunday morning? Geelong and Hawthorn jumpers in abundance at Colac Auskick. About to turn 8, middle child Josh is one of a decent number of Grade 2s in black & white. Showing a keen eye for goal, and a Kevin Bartlett like reluctance to handball, he snags 4 goals. 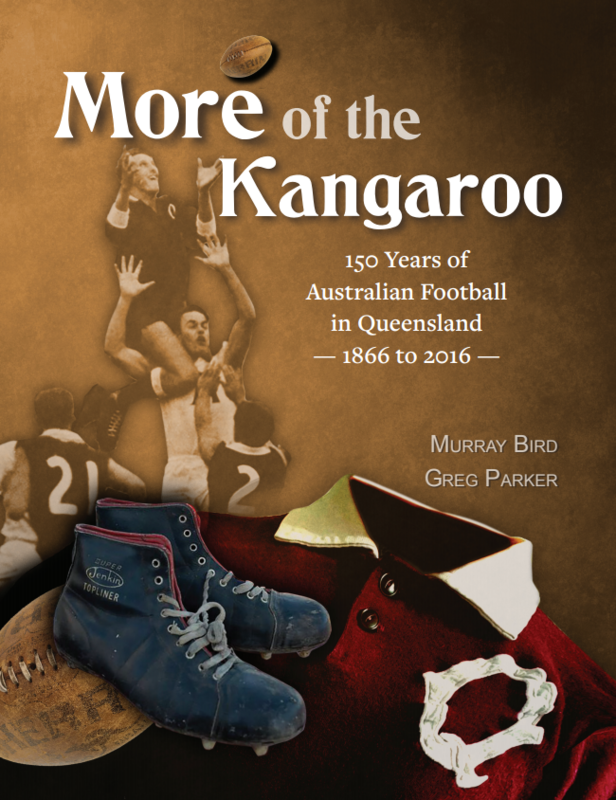 His game is enthusiastically umpired by former St Kilda star Steve Baker. The kids are impressed to hear of Baker’s career, despite being too young to recall it. Great to see him putting back at grassroots level. Two hours later and we’ve parked at the ‘G. Four train stops later we’re at that most sacred of venues, Victoria Park. It’s half time at the Collingwood v Richmond VFL clash. The Tigers are well in front. 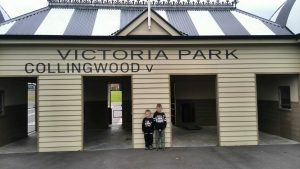 One of my favourite ever photos is of my two boys, taken in 2015, standing at the entrance gate at Victoria Park. Today seemed just as good a day as any to take an updated one. The VFL Pies continue to be well beaten in the second half. 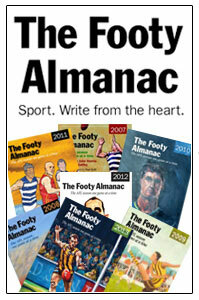 Not much AFL experience out there due to the raft of injuries suffered by the senior team. Callum Brown does some nice things, tough and has quick hands, think he has a big future ahead. It was my first chance to watch his younger brother Tyler live in action. Moves well, seems a better kick than his older brother. But very skinny and raw. Will take time. Despite the loss, it was fantastic to be back at Victoria Park. An excellent crowd in attendance. The boys getting to have a kick on the ground. 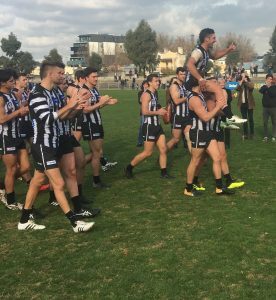 Seeing VFL captain Jack Hellier being chaired off after his 100th game. He kicked 2 goals and played well. Always has a crack. A real stalwart of the club despite never being on our AFL list. We board the train again at Victoria Park station. It’s a special feeling heading towards the ‘G on the South Morang line. Packed in like sardines, nearly everyone in black and white. And nearly everyone dismounting at Jolimont station. We find Mrs R, Josh and Emily some seats in the top level of the Ponsford Stand. 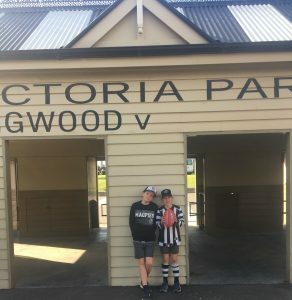 Josh has allowed his older brother, who has rekindled his love of the Magpies after losing interest in the game altogether for a period of time, to sit in his reserved seat for the first half. The plan is to swap the boys over at half time. Fremantle kick the first goal and looked sharp early. Mason Cox, lucky to be playing this week after his high bump against the Bulldogs that only resulted in a fine, kicks our first with a banana kick, a new trick in the Lanky Yank’s artillery. Hoskin-Elliott and Thomas, our most consistent goalkickers of 2018, add one each as Collingwood take a 9 point lead at quarter time. Brody Mihocek has today become the 1148th Collingwood senior player, debuting at 25. 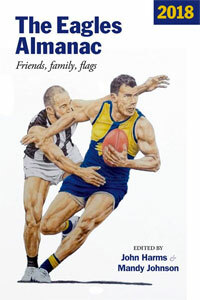 Originally from the Burnie Dockers in Tasmania and being picked up by Collingwood after starring at VFL level for Port Melbourne as a defender, his first AFL goal, a snap at the Punt Road end, opens the scoring for the second quarter, much to the delight of the Magpie Army, always welcoming of a debutant. A quarter that sees Collingwood dominant. 5 goals to 1. With three vacant seats to our left, the halftime brother swap doesn’t occur. Mrs R, Josh and Emily join us for the second half, though as Gavin attempts to sit back in his seat he occupied in the first half, Josh decisively reclaims M28 Row C Seat 18 as his own. Scott Pendlebury, making time stand still yet again, smoothly weaves around a Docker and bangs a goal through from 55 metres out. He’s taking on, and beating Fyfe at stoppages and centre bounces. This run with role that’s been added to his arsenal this season could extend his career by a few years. Still the complete footballer. Mundy goals for Fremantle before De Goey and Hoskin-Elliott goal to put the result out of reach. Watching Josh Daicos play brings a lump to my throat, a warmth to my heart and much joy when he gets the ball. He marks right on the 50 metre line and lines up for a shot at goal. This is his 4th game, I’ve been at all four, desperately hoping he kicks it. Needn’t have worried, he nails it in typical Daicos style. Can’t help but jump out of my seat and roar in approval. His father Peter, the Macedonian Marvel, the greatest man to walk this planet, is shown on the big screen, watching in the stands, to the biggest cheer from the crowd all day. Wonderful moment. Brody Mihocek kicks the first two goals of the last quarter. He is a ready made player, a natural footballer as opposed to an athlete made into a footballer. Plenty of goals in the final term. 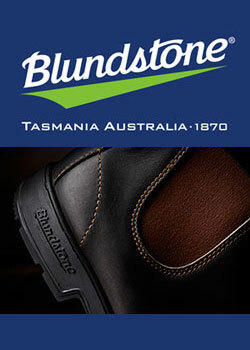 Tom Phillips kicks his 3rd, he’s becoming a dominant footballer with a real goalkicking nous. Fremantle get a run on, kicking 4 goals in a row to the disappointment of the Ponsford Stand faithful. Mihocek kicks the final goal of the game, his 4th, to seal a 61 point win. Ten goal wins have been very much lacking in the past few years for the Pies. The Reynolds clan are overjoyed with the result. Almost surreal to attend a Collingwood game where we suffer no injuries. We run into our friends and fellow Pies fans Ian & Barb at a Princes Highway diner on the way home. We sadly missed them at Victoria Park. They had the same smile as me, the 7 & 4 smile. Our draw gets harder. Melbourne will be a big challenge on Lizzie’s Birthday. But we’ll be up for it. Absolutely loving following Collingwood in 2018. They’re having a red hot go. Go Pies. Josh has caught up with Gavin re height.How did Chippy go for the pies res? What was the crowd ? Terrific report Luke. Gee things have changed. When I first went to footy training as a 6 or 7 year old (circa 1970 or 1971), it was Collingwood and Richmond jumpers EVERYWHERE. I was the only Cat. Can’t recall any Hawks? Love the updated photo. Pretty soon your boys will be driving you up the highway to games. Great stuff, Crackers – and great to catch up with you briefly at the lunch on Friday. I trust you were back home in time for dinner! My, time flies – 3 years goes by in the blink of an eye! great pics of the boys. Sounds like you all had a great day yesterday. I am rapt for Brodie Mihocek – what an exercise in persistence. They’ve grown a few cladding panels your lovely boys. And I always love a debutant. And a debutant’s first goal/s. Rulebook- Chippy was one of our better VFL players in the second half. Reckon the crowd would have been around the 800-1000 mark? Tom Phillips has to be a huge chance to at least make the All Australian squad. Thanks Dips. No doubt them driving will come around faster than I hope! Great to see you the other day too Smokie, will make the next lunch longer! Mihochek is a great story. Super write up Luke. Looks like Gavin and Josh are following the Pies on the rise ! I went to the G yesterday for the first time in almost 2 years. Last time was when I met up with you and JD against the Eagles in 2016. 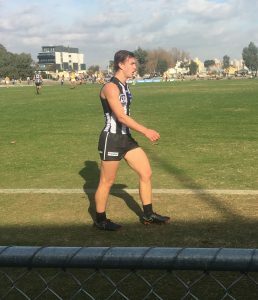 Some of our passages were wonderful, Tom Phillips and De Goey have stepped up and the pressure has eased off Penldes, Steele and Treloar. Adams also playing the role as an in and under suits him. Brodie and Brody blitzed and I’m loving Scharenberg’s work by the week. Let’s hope that our hyphen W Hoskin-Elliott shines brightest on Lilibet’s Birthday. Huge game for both clubs. More pressure on the Dees, but if we win, that lid…. How bloody good was it?! I actually ate during the game for once that’s how relaxed I was. Me and my sister in law were jumping up and down holding hands like some 12 year olds at a boyband concert. Too much happiness right now. Cheers Mathilde. Reckon they’ll both end up a cladding panel or two taller than me (not hard!). Thanks Phil. Great to hear you were back at the ‘G. Must organise another meeting of the Almanac’s Magpie faction at a game again soon. As always, thanks for reading Lizzie. Much appreciated. Dani- it was bloody fantastic! Most stress free game I’ve been to in a long time. Outstanding LR. Great to see your boys growing up. Agreed on that wonderful moment when Peter was shown on the big screen just after Josh’s goal. Missing you in the Olympic Stand this year. Luke rumour that the milkman is 7ft tool gaining momentum? Cheers DB. It really was such a wonderful moment when the crowd reacted the way they did when the Macedonian Marvel appeared on the big screen. Only have home game seats in the Ponsford, will try and catch you in the Olympic Stand atvan away game! Rulebook- would be nice if the milkman would contribute to our grocery bill, boy can they eat! Great photos of your boys Luke. I reckon a tradition is underway. It’s a beautiful entrance gate too. Makes me want to go to the footy at Victoria Park. Almost. Mickey- will be a tradition for sure. They’ve done up those entrance gates beautifully. 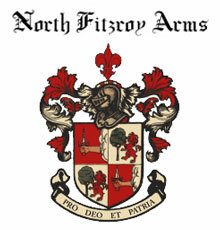 Look forward to catching up at the NFA!